Minnesota State Statute (115A.02) dictates that source reduction is the preferred waste management method – the top of the waste management hierarchy. 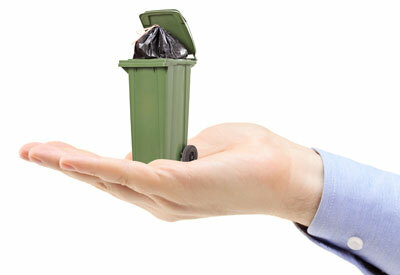 Source reduction, also known as waste prevention, means not using a material or item in the first place. Reduction can lead to significant cost savings, as you pay for that material multiple times – the cost to purchase the material, handle and store it, process it, and ultimately dispose of it. Dedicate process equipment for different colors, material types, etc. Learn more about identifying waste reduction opportunities on our Waste Assessments, Sorts, and Tools page. The following companies have reduced their waste and emissions and are enjoying the benefits of lower costs and fewer regulations. K-Bar Industries (2002). This company manufactures metal outdoor-maintenance power equipment, shop equipment and parts and paints over paints over 3,000 parts/year using powder coating system. Through improved inspection of reject parts, increased operator awareness, process changes, and an upgraded paint system, the company saved $44,000 annually and reduced reject parts by 50%. Marathon Ashland (1998). Through an intern project, the company minimized solvent-based cleaning by installing new cabinet aqueous spray washer and eight new parts washers with filtration, using terpene first followed by solvent-based cleaner for final cleaning, and substituting foam cleaner with greater contact time and less water clean-up. In all, 40 gallons of chlorinated solvents were eliminated annually and the company is saving $39,000 a year. Medtronic (2001). By implementing Design for the Environment strategies into their product design, Medtronic is able to reduce waste and be more efficient.